These 5 minute patriotic paper flowers are so crazy easy peasy to make. Today is day three of Craft Lightning Patriotic series sharing crafts and projects that can be done in 15 minutes or less. I am pretty excited to be co-hosting this series and after I share this project, share the others that were posted yesterday by fellow friends and bloggers. To make the flowers you will need paper doilies, paper straws (or candy sticks), brads and hot glue. Layer the doilies, poke a brad through the middle and squish up the paper. Use hot glue to add the straw or stick stem. I put them in recycled jar that I painted in a few quick minutes with red, white and blue Folk Art acrylic paint. After the paint drys, I always recommend a layer of Mod Podge to seal. Put them together and…ta da! The overall project makes a great centerpiece. I shared the popcorn mix and the Patriotic Activity Pack of Printables yesterday! 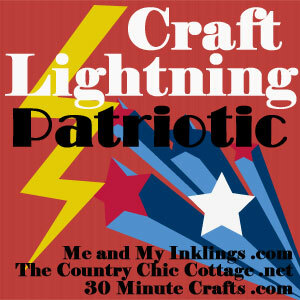 Craft Lightning is such a great series and I am loving all of the creativity for the Patriotic Series. Albion made this darling rustic banner. All of the details are over on Albion Gould. Jessica is sharing this fantastic drink bucket over on Everyday Party Magazine. She always does stellar projects with her Cricut machine. WOWZA, an apron made with only two bandanas. Awesome bandana idea from Angie at Country Chic Cottage! These tassel earrings from Carolina (my co-host over at 30 Minute Crafts) are darling! Jessica from Mad In Crafts whipped up this centerpiece in a matter of minutes. I love the way it looks in the nighttime. These patriotic freezer coasters from My Mom Made That look like so much fun to create. Rita Barakat has a video of her project which is awesome. I love her patriotic decoration. 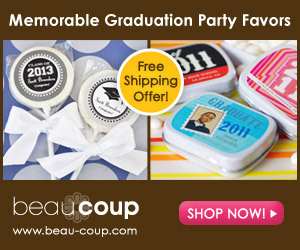 Be sure to check back tomorrow for even more awesome patriotic inspiration!